Platelet-rich plasma versus autologous whole blood for the treatment of chronic lateral elbow epicondylitis: a randomized controlled clinical trial. Thanasas C, Papadimitriou G, Charalambidis C, Paraskevopoulos I, Papanikolaou A. Am J Sports Med. 2011 Oct;39(10):2130-4. Epub 2011 Aug 2. 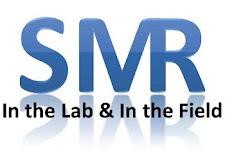 Over the past few months SMR has reviewed multiple articles regarding platelet-rich plasma (PRP) and its efficacy (see related posts below). These articles have shown varying degrees of success depending on where and how the PRP treatment has been administered. One area of the body that has shown positive responses to PRP intervention is the elbow, and more specifically the muscles and tendons at the lateral epicondyle. While previous articles have compared PRP efficacy to cortico-steroid injection for lateral epicondylitis, Thanasas et al. has moved the discussion in a different direction. In this article the authors investigate and compare the efficacy of two biologic treatments for lateral epicondylitis, PRP and autologous whole blood. For this study, 28 subjects suffering from lateral epicondylitis were recruited and alternately placed into one of 2 groups; Group A: the whole blood treatment group (n=14) or Group B: the PRP treatment group (n=14). All subjects met the following inclusion criteria: clinically diagnosed lateral epicondylitis, no history of trauma, duration > 3 months, no previous injection of any kind, no history of rheumatic disorder or posterior interosseous nerve entrapment. There was no considerable difference between the groups regarding age, gender, occupation or hand dominance. All subjects completed visual analog scales for pain and Liverpool scores pre-intervention as well during each subsequent follow-up session. The Liverpool score tracks elbow ROM, ulnar nerve function, and daily activities; thus it was deemed to be the most appropriate for the purposes of this study. Group A was treated by injecting 3mL of autologous whole blood to the injury site and using a peppering technique (single skin insertion, multiple peripheral deep tissue insertions). Group B was injected with 3mL of PRP utilizing the same injection technique. During follow-up neither group was prescribed cortisone injection nor oral non-steroidals to manage discomfort. All subjects were instructed to avoid heavy labor for the next week. One week after the treatment both groups were prescribed a standardized exercise program focusing on stretching and eccentric strengthening of the affected musculature. This program was performed by the individual 2x's/day for 5 weeks. All subjects were then reevaluated at 6 weeks, 3 months and 6 months post-injection, and completed the VAS and Liverpool scores. During follow-up, the PRP group had decreased pain at every follow-up evaluation according to their VAS scores. However, pain was only statistically significant at the 6 week time point. The results of this study are interesting for a few reasons. First, there was no statistical significance difference in pain at any follow-up period except for 6 weeks. This result demonstrates that both treatments were effective for treating the condition. By comparing PRP to autologous whole blood, though, there seems that there may be a case for utilizing PRP and its concentrated growth factors within the lateral epicondylitis injury/treatment paradigm. It is possible that PRP might be more effective at mediating the inflammatory process, thus resulting in better VAS scores early in the follow-up process. Another item to note, there was no statistical significance between the two groups when comparing the Liverpool scores. This could be a result from the Liverpool score's structure. While ADL's are a crucial component to the score, tracking ulnar nerve function and ROM, which are minimally affected by the condition, may have counterbalanced and eliminated the ADL scores. What are your thoughts on PRP and whole-blood therapy as possible treatment solutions for your patients? As sports medicine clinicians, we are always looking for an edge to get our clients back to their respective sports as quickly and as safely as possible. PRP for lateral epicondylitis appears to give us a viable option based upon the 6 week follow-up stats from this article. However, the treatment outcomes weren't much different in the long run between the two groups. Taking cost into consideration, do you believe that there might be a place for whole-blood therapy if the patient's out-of-pocket expense for PRP might prove to be too great? Based upon this study's finding, when conferring with your physician, would you be more willing to suggest autologous whole blood or PRP? If ultimately the end result is similar in the long run, I feel like it will come down to the type of season and the cost of the treatment which will be key determinants in the decision to go for PRP or Autologous whole blood injection. The question is if the RTP 3 weeks sooner is worth the extra money if the end result is losing money or elite status by being out of play, but if the athlete can afford the extra weeks off, a combination of rest and autologous WB injection could be just as beneficial. That is a harder treatment to sell, seeing as though a goal of ours as a clinician is to get the athlete to return to play as soon as possible and most of the sports in which this injury is seen are not traditional sports, such a tennis or golf that can go for a good portion of the year. It is a tough decision that will probably need to be determined case by case. Hi Jenna. Thank you for reading and commenting. I totally agree with you that the type of season being played by higher caliber athlete is going to be a consideration, but as Athletic Trainers, we are beginning to treat more and more "physically active" individuals and not just "athletes", per se. That includes older individuals who might be a bit more financially settled. Many times, I've seen these individuals delay shoulder replacement surgery for 3-6 months, just so that they can still continue to golf. Like many of our HS, college and pro-athletes, there appears to be no good time to take off during the playing/working season for our physically active patients. Having worked in a clinic, the number of LE cases that I've seen is astounding, and it affects anybody and everybody and can be quite debilitating. I could be wrong, but I think more people than we know might be willing to fork over the extra cash and pay for PRP treatment, if it means that they can RTP sooner and return to work earlier with minimal to no restrictions, as opposed to the whole-blood treatment. For the individuals that might not be as financially well-off, I couldn't agree more with you that a bit of rest and the whole-bood injection route seems to be a viable option, provided that the patient is in a position to be able to do that. At the end of the day, it comes down to two items for the patient: 1) How much longer are they willing to deal with the pain and dysfunction? 2) Are they willing to go the extra mile and spend $ on a treatment that will potentially provide earlier relief, but will ultimately have a similar outcome to the cheaper whole-blood version? Only the patient can answer those questions. @Shane. Thanks for reading and commenting! If you like this write-up, please be sure to share it on Facebook, Twitter, Google+ and Linkedin if you use any of those sites. Jeff and Steve are the stewards SMR and don't get paid a dime to provide this phenomenal resource. Let's show them the support that they deserve by continuing to share SMR with all of our colleagues. PRP is clinically proven to treat many other injuries that are associated with sports performers like tennis elbow, or non-healing fractures, severe wounds, Mandible Degeneration. But remember diabetic patients, pregnant women, obese patients are not the candidates for PRP therapy. Patients can visit the clinic for PRP therapy Seattle for the treating knee, shoulder, hip, cervical and joint injuries. I have personally never heard of PRP treatment before, and found this article particularly interesting. One thing I would suggest is focusing just primarily on a research study on just the PRP treatment itself. Along with that I feel like it would be great to find a way in which to determine the mechanisms by which PRP treatment is successful or a failure. Another question along I have, is are the injections painful for the patient; and if so is this type of treatment a last resort type of treatment for lateral epicondylitis?